Come visit DEMA this Sunday, July 1st to celebrate Sunday Streets! We will be offering 20% off the entire store, including sale. 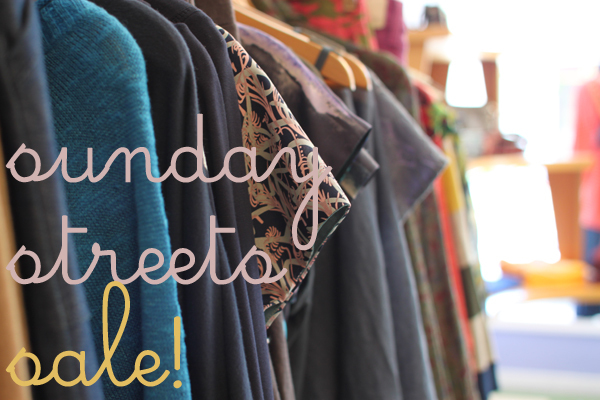 The shop is overflowing with colorful summer loveliness so it's the perfect opportunity to update your wardrobe! Please keep in mind that DEMA will be closed on the 4th of July.